This is what modern hospitality should look like, with Zurich Tourism today announcing paper based guest information will soon be replaced by a SuitePad tablet PC in 10,000 rooms at partner hotels. With this project, Zurich sets a new milestone for during stay destination marketing. Get to know the Highlights of Zurich, interact with hotel information, provide feedback and book your table in the hotel restaurant – using the digital concierge all this will be available at the tips of your fingers. The digital concierge is a tablet PC that replaces guest directory and allows hotels to easily change the digital content in real time. The SuitePad provides all the necessary information on Zurich and the hotel the guest is currently visiting. Soon guests will also be able to use the device to explore the city with an always up to date guidebook in their pockets. 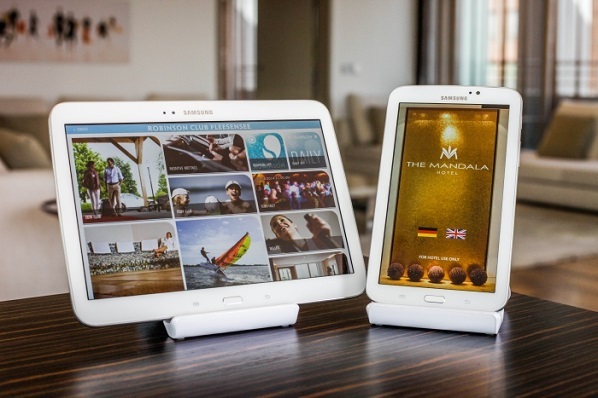 For the first time a destination will equip all of its hotel rooms with a tablet PC. Zurich Tourism aims to create benefits for guests, hotels and other tourism service providers likewise: hotel guests can access different services from the comfort of their rooms, while hotel owners can push their information and news directly to the guest. The tablets are provided for free by Zurich Tourism, the Zurich Hotel Association and the Zurich Casinos. Together with the Berlin based partner, SuitePad, a specialist in digital guest directories, the project will see the devices installed in 10,000 rooms until the end of the year.